Canadians might be surprised to learn that many health and social services widely available in the community are not available in most of Canada's correctional facilities -- this needs to change. We are missing a critical window of opportunity to reframe the period of incarceration as a time to help people improve their health and well-being before returning to our communities. The tragic stories of Ashley Smith, Edward Snowshoe and other inmates who have died while in Canadian correctional facilities have rightly made headlines around the country. Less well known are the premature deaths of hundreds of Canadians every year from preventable causes after they are released from jails and prisons. 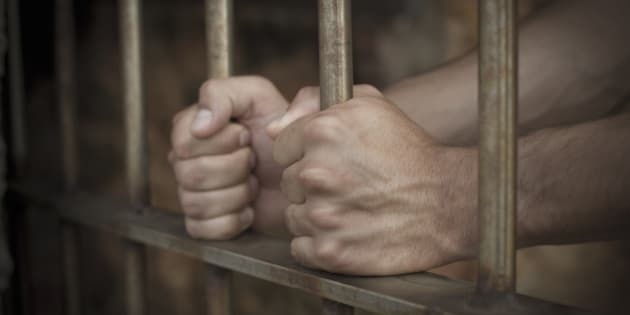 We recently published a study in the Canadian Medical Association Journal Open which looked at the rates and causes of death for people who had experienced incarceration in their lifetime. When we examined death in almost 50,000 former Ontario provincial inmates over a twelve year period, we found a shocking discrepancy in life expectancy. Compared to the general population, the average life expectancy of people who had experienced incarceration was four years shorter for men (73.4 years of age compared to 77.6 years) and 10 years shorter for women (72.3 compared to 82.9 years). The likelihood of dying while in custody was two times what we would expect for people of the same age in the general population. But even after people returned to their communities, the chances of dying during the follow up period was still four times what we would expect for the general population. So does incarceration decrease life expectancy? We don't know. We can't clearly distinguish the specific impact that incarceration has on life expectancy. But we know that those in prison have a higher risk of early death for a variety of reasons beyond incarceration itself, and that this high risk extends far beyond the period of incarceration. Here's what the evidence tells us. People who spend time in jails and prisons in Canada have often experienced serious adverse events in childhood, such as physical or sexual abuse, and the majority have not completed high school. They have high rates of diseases including mental illnesses, substance use disorders, HIV and hepatitis C. They also tend to have low rates of employment and high rates of homelessness. So what can we do to prevent premature deaths in this population? The time in custody offers a valuable opportunity to implement evidence-based interventions. One obvious focus is preventing the harms associated with substance use, which is very common among inmates. Substance use leads to premature death directly, for example through overdose. Substance use also leads to premature death indirectly, via infection with HIV or hepatitis C in people who share needles, or to cirrhosis and liver cancer in people who drink heavily. We have a lot of evidence about ways to treat problems with substance use and to prevent associated harms. However, many of these standard treatments that are widely available in the community are not accessible in many correctional facilities in Canada. This includes nicotine replacement therapy to help people quit smoking and methadone maintenance therapy for people who are addicted to opiates like heroin and morphine. We know that people inject drugs in prisons, but we don't provide access to clean needles -- which could lead to people sharing needles and becoming infected with HIV and hepatitis C.
Finally, even though the risk of overdose in the weeks after release from prison is 56 times what we would expect for the general population, in most jurisdictions we don't train inmates on how to prevent overdoses or offer them the opioid overdose reversal medication naloxone when they are released. Another missed opportunity is our failure to facilitate access to primary care when people get out of jail or prison. With relatively high rates of early death from a variety of diseases, including chronic diseases like cancer (1.6 times as likely than in the general population) and heart disease (3.1 times as likely), primary care would provide former inmates with a means to access prevention programs and to be screened for, diagnosed with, and treated for diseases. Supporting people who experience incarceration is good for these individuals, for their families, and for our communities. People who spend time in custody are mothers, fathers, sisters, brothers, wives, husbands, employees and neighbours. Improving access to appropriate health treatments could help people who experience incarceration to improve their health, support their social functioning, improve public safety and decrease re-incarceration. Let's not waste this opportunity.